In this first part one of a three-part series, multitalented musician Michael Emenau a.k.a. MNO discusses the evolution of the music producer and the many paths a producer can take in today’s market. 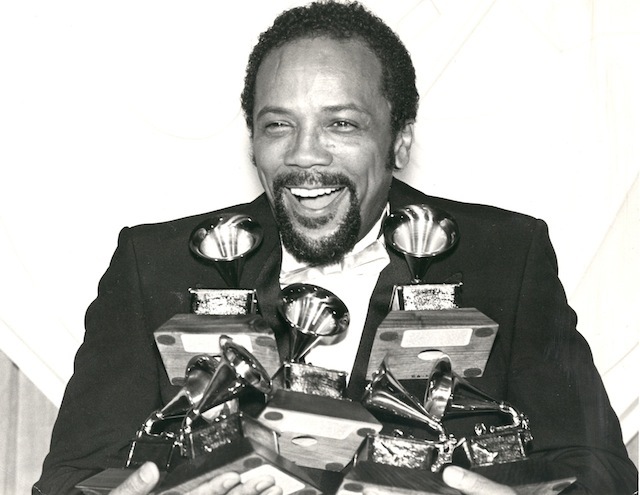 Acclaimed record producer, arranger and composer Quincy Jones at the 1990 Grammy Awards. 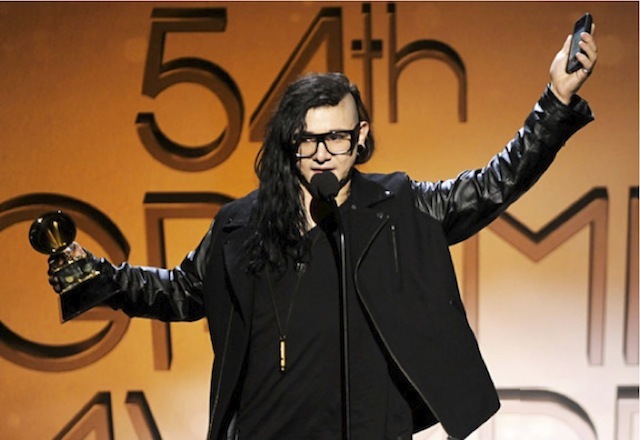 The term “producer” has evolved greatly from the early days of recorded music. Back then, the producer was more of a project manager, gathering various specialists together (engineer, mixer, arranger, composer, musicians) and directing them through the process of making a single or an album. That’s not to say the producer was strictly hands-off. A producer could also be the composer, arranger, or even mixer. What a producer did not do, however, was play all the instruments, run to the console to push record, then after mix and master the album, in addition to working on a promotion plan. Today, it’s become the norm for a producer to be a jack-of-all-trades who writes, arranges, tracks, mixes, masters, and does web design while Twittering the entire process. There are clear reasons for this shift: affordable technology has made it possible to create a high-quality product at home, and the demise of the recording industry has shrunk artist support to the point where inexpensive productions are necessary. We all have the opportunity to make whatever we want, and doing it ourselves is often the only option. Quincy Jones and Michael Jackson. 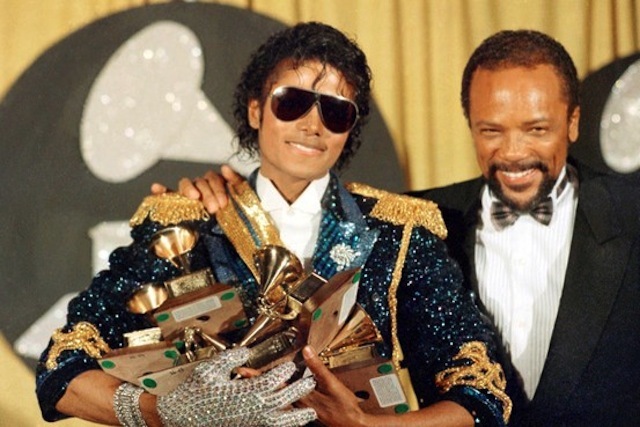 Jones produced some of Jackson’s greatest albums including Off the Wall, Thriller, and Bad. There are many possible roles, and many different roads that all lead to the same place: to create a body of music which is satisfying to the artist and the producer. Whether you are writing, mixing, placing microphones, hanging out all night at a club with MCs, or automating the multi-band subharmonic parallel compression for the kazoo solo, you are producing. Artists will search you out once you have developed your own sound. I sometimes get gigs based on a track I made ten years ago. Remember, every track you produce is a calling card for the next gig. The reality is that, as a producer, you need to be in it for the long haul. Your style may change over time, but the core of who you are should be present in every track you make. Find your voice. I know it sounds cliché, but one of the greatest joys of producing music is to see your voice develop, strengthen, and become more distinct over time. How Do You Develop the Skills to Be a Producer? The most important quality of a successful producer is the love of music. The curiosity and passion for listening, exploring, and experimenting with all aspects of music will give you the skills you need, and seriously if you don’t love music, don’t be a producer. There are much easier ways to make a living. Learn to play an instrument (or seven). Take some lessons and put in the hours–even a little knowledge of an instrument will go a long way in the studio. Musical instruments are the original building blocks; the more comfortable with them you are, the more depth your productions will have. Virtuosity is not the goal. Strum a simple chord progression on the guitar, play simple melodies and chords on the piano, and start hitting some drums. Try thumping along on a bass (I learned how to play bass last year, and it improved my programming skills immensely). Get a feel for what each of these instruments does, as well as the groove and flavor they add. These four instruments have been the building blocks of popular music for the last 60 years. Understanding their workings, and you will be able to better communicate with those around you. 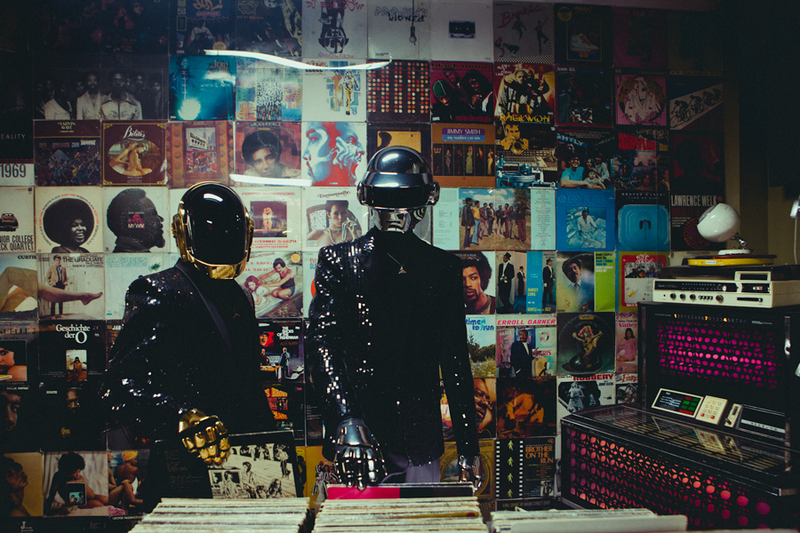 Celebrated electronic music duo Daft Punk “from sampling disco records to creating disco records” | Photo by Nabil Elderkin with Warren Fu or Wax Poetics. Listen to as much music as possible. Listening should not be a passive activity; it is your job to have a large palette of sounds and ideas to draw from when making music. When you’re in the studio, listen to the voice in your head that says “try adding a cello like in that Haydn Symphony,” or “add some of that freaky buzzing drum stuff that you heard on that Gnawa ceremonial music.” The results will not always be what you want, but you’ll be moving the process forward, and finding your way towards the perfect sound. Don’t write anything or anyone off. Every genre of music has some validity to it and is worth a listen. If nothing else, figure out why you don’t like it, and what you want to avoid in your own productions. Listen not just to melodies and harmonies but to the structure of songs. Do they have a verse/chorus/verse approach, or do they seem to go on and on? Often, music that seems to go on aimlessly has some structural element that you are not noticing. Listen to the mix. What sticks out? What makes a song memorable? Dissect the instrumentation, and see what the different elements do to the production. Become educated with recording software and the recording process. I recommend you learn one or two programs thoroughly, rather than dabble in multiple platforms. Make the computer your creative musical instrument of choice. I start my projects in Ableton Live because I find it quick to get down ideas down, but prefer applying a mixing workflow in Digital Performer. Fortunately, most plug-ins will work in any host. So, whether I’m in Live, DP, or Pro Tools, I still use the same compressors and reverbs. There is no right or wrong DAW at this point, they all sound great. Just figure out which one most effectively transforms what’s in your head to something the world can hear. Another area, often sorely overlooked, is understanding basic studio techniques. Learn about signal flow, gain staging, microphone placement, and preamps. It’s a lot easier to make a great mix when the original tracks sound good. Go to school, read every audio magazine, ask questions of every person who seems to know what’s going on. Learn, Learn, Learn! Get in the game. It is not required that you have all these skills functioning at a high level before you go off and start producing tracks. In fact, producing music will help you see the holes in your knowledge, and will inspire (or force) you to learn more. I came into producing through my experience as a studio musician. I know producers who started out DJing, composing, playing in bands, or writing songs, while others were computer nerds with little musical background. What they all had in common was a desire to make great music. It takes a long time to get your skills down. There is no guarantee that you’ll produce big hits, but persistence will give you the chance to be heard. Keep trying, keep learning, and keep making music! Michael Emenau (McGill 1989, BAC Music, classical percussion, composition) has worked professionally as a vibraphonist/percussionist, composer, producer, remixer, and arranger for 25 years. He plays diverse genres such as Jazz, Rock, Drum & Bass, Salsa, Techno, Country, Hindustani, Gospel, Baroque, Jewish, Film, and Orchestral music. During this time he has recorded on over 180 CD’s, composed music for eight films, toured internationally, and lived on three continents. His newest project SUSSEX is a mélange of Roots, Ragtime, and American reaching #4 on the Euro-American charts as well as charting in the top 30’s on the US Roots Radio Report (tracking all independent albums).